Building information modelling (BIM) is revolutionising building design and construction. For architects, BIM has the potential to optimise their creativity while reducing risk in the design and construction process, thus giving them a more significant role in the building process. This book demonstrates how innovative firms are using BIM technologies to move design away from the utilitarian problems of construction, engaging them in a stunning new future in the built environment. 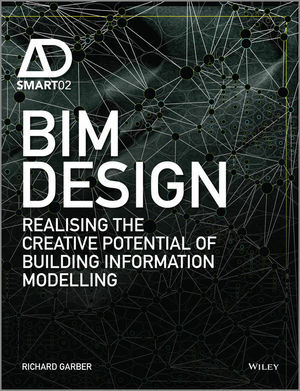 Whereas recent books about BIM have tended to favour case-study analyses or instruction on the use of specific software, BIM Design highlights how day-to-day design operations are shaped by the increasingly generative and collaborative aspects of these new tools. BIM strategies are described as operations that can enhance design rather than simply make it more efficient. Thus this book focuses on the specific creative uses of information modelling at the operational level, including the creative development of parametric geometries and generative design, the evaluation of environmental performance and the simulation and scheduling of construction/fabrication operations. This book also engages BIM’s pragmatic efficiencies such as the conflict checking of building systems and the creation of bills of quantities for costing; and in so doing it demonstrates how BIM can make such activities collaborative. Throughout, projects are used to illustrate the creative application of BIM at a variety of scales. These buildings showcase work by fi rms executing projects all over the world: SHoP Architects and Construction (New York), Morphosis (Los Angeles), Populous (London), GRO Architects (New York), Reiser + Umemoto (New York), Gensler (Shanghai) and UNStudio (Amsterdam). Richard Garber, AIA, is an Associate Professor at the College of Architecture and Design of the New Jersey Institute of Technology and partner in the New York City-based fi rm GRO Architects. His teaching and professional work uses computer simulation and computer numerically controlled (CNC) hardware to generate innovative design, construction and assembly solutions. Current work includes a series of modular housing projects in Jersey City, New Jersey and Baltimore, Maryland; and a community plan for the Zhangdu Lake region of Wuhan, China. He was previously a project manager at SHoP Architects and at Greg Lynn FORM. He holds architecture degrees from Rensselaer Polytechnic Institute and Columbia University.